Volunteers have a positive impact on communities, providing assistance to philanthropic activities in our region. 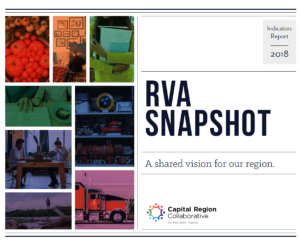 According to the latest data, Richmond ranked the highest among our peer regions, with 29.4% residents volunteering 36.7 million hours of their time. Additionally, 49% of Richmond residents donated $25 or more to charity.